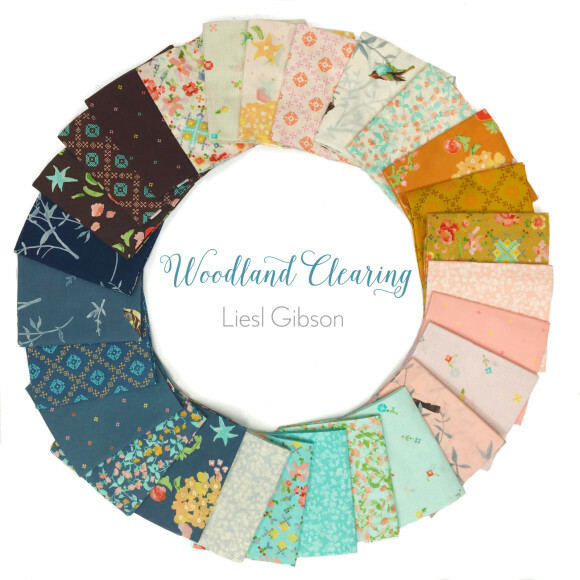 It’s my pleasure to finally introduce you in full to Woodland Clearing, my first fabric collection for the lovely folks at Robert Kaufman. Woodland Clearing is arriving in stores as we speak. 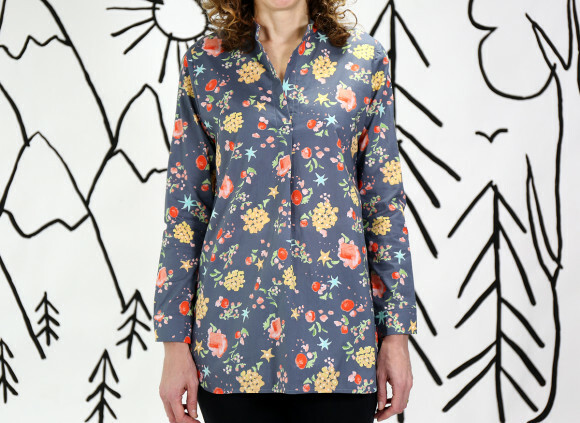 The collection is made up of 27 prints on a beautiful cotton lawn. I’ve been a fan of Kaufman fabrics for a long time. I work with many of their fabrics when we’re making samples for pattern covers and photos shoots. 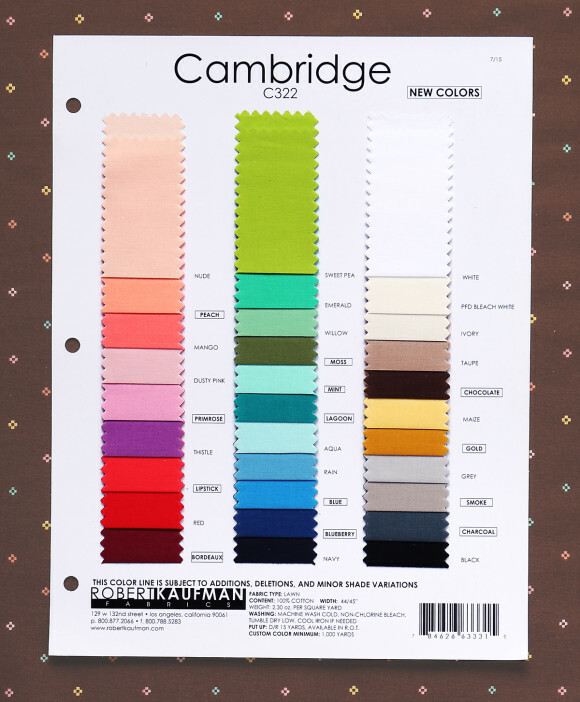 Kaufman is probably best known for their Kona Cottons, which are used by many of us because they come in such a wonderful range of solid colors. But they’re also becoming well known for their wide range of apparel fabrics like denim, chambray, corduroy, jersey knits, and the list goes on and on. It’s been so exciting to see more and more quilt stores start to branch out into apparel fabrics because it means that those fabrics are easier for more of us to buy! I know how challenging it can be to find good quality apparel fabrics beyond quilting cottons, and I know many of you have struggled with this as well. 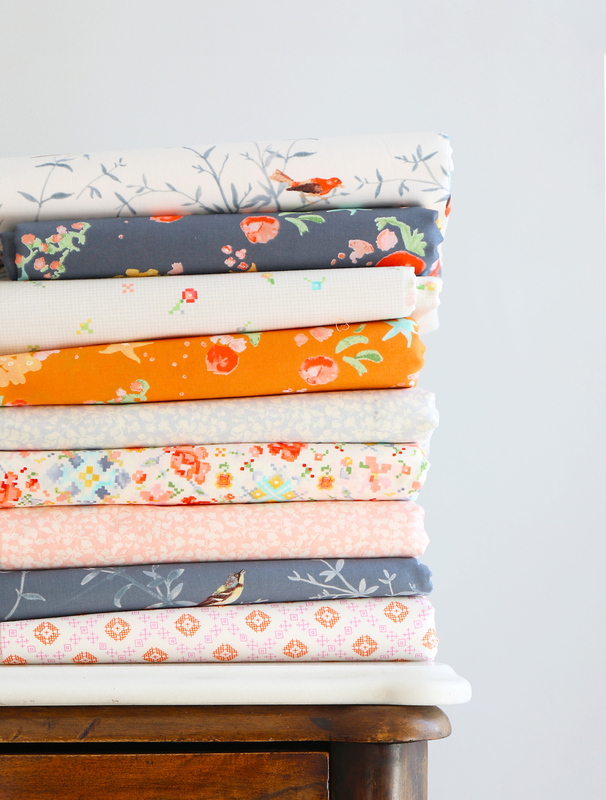 So when I wanted to design a new fabric collection, Kaufman seemed like a natural fit. And it’s been a real pleasure to work with them. This was a tricky collection to design. The prints are all based on my watercolor paintings. We worked hard to maintain the watercolor feeling, so there are a lot of colors in these prints. Even the prints that look like they have just a few colors are composed of many shades to achieve the watercolor feeling, so it took a while (and many strike-offs) to get the right effect. You’ll see it when you look at the selvedges. But I think it was worth the effort! The fabrics are printed on the same cotton lawn as Kaufman’s Cambridge lawn solids, and we even added some new solid colors to the Cambridge line to coordinate with the collection. 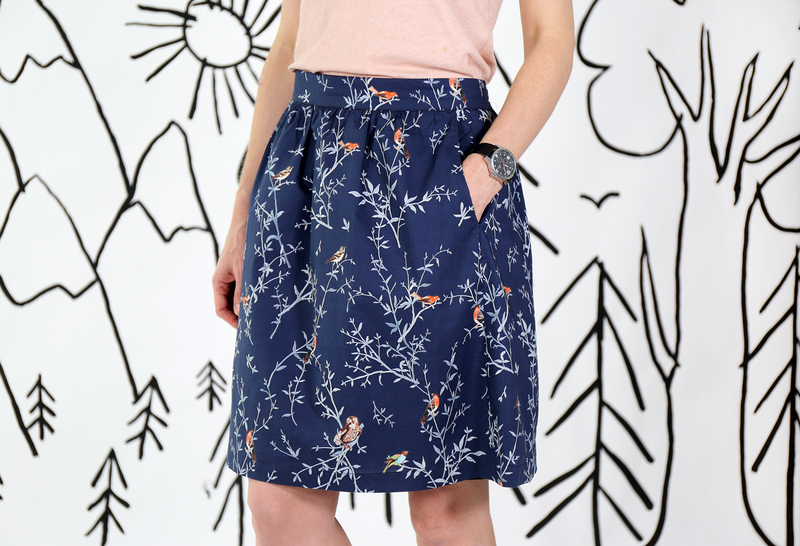 So now you can mix and match the prints and solids with abandon. And of course you can also mix the fabrics with some of Kaufman’s other fabrics, which is exactly what we did for the Woodland Clearing photo story I shared yesterday: canvas, corduroy, linen, etc. They all work really well together to sew up a great wardrobe. In addition, one of my favorite prints from the Woodland Clearing collection is also available as a coated fabric so you can even make raincoats. We made a new waterproof Secret Agent Trench Coat for S (modeled here, second from left), and she’s quite in love with it. We’ll show you the coat in more detail later. 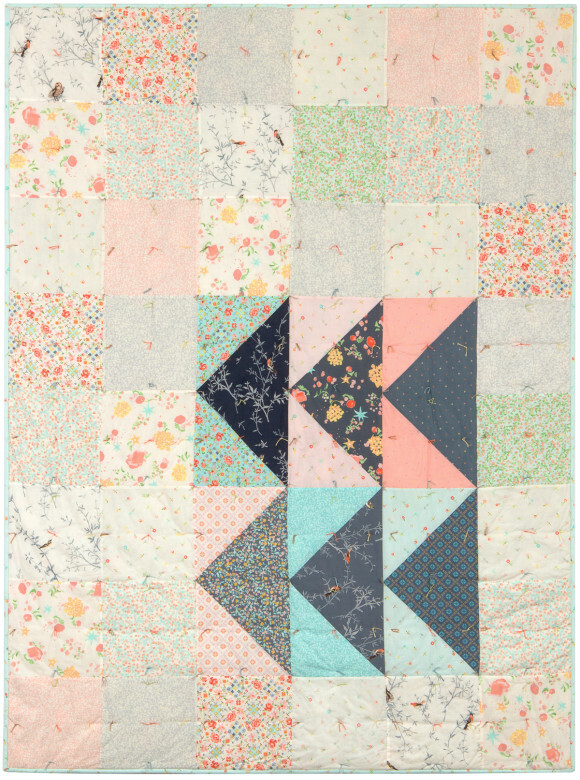 If you’re a quilter, there are two Woodland Clearing free quilt patterns that you might be interested in. I’m particularly enamored of the Wooded Paths quilt. 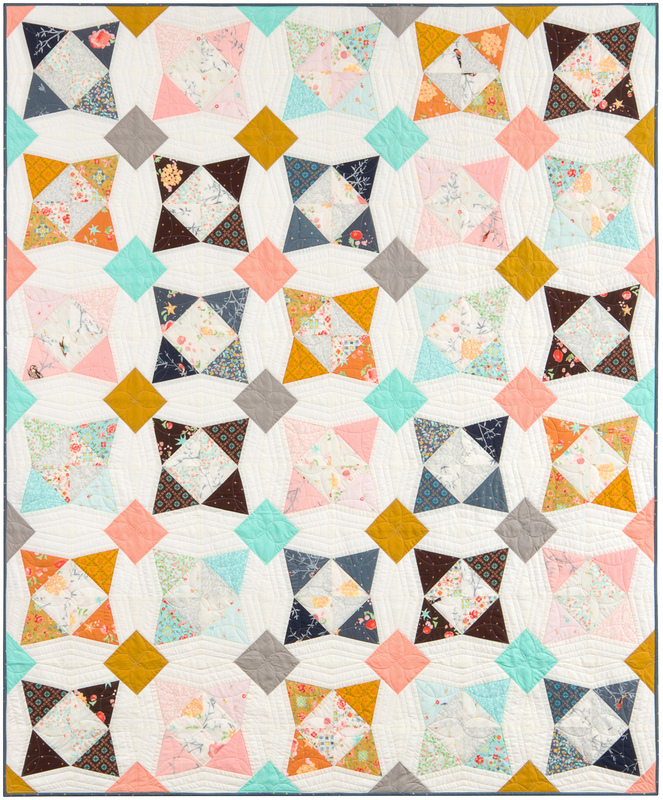 The fabrics are so soft and really work beautifully for patchwork, and the finished quilts feel so soft! 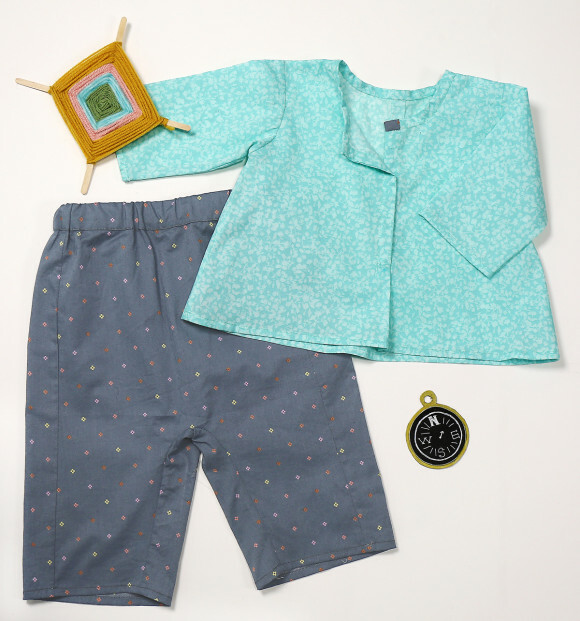 Over on Instagram the other day I mentioned how lawn and the Lullaby Layette pattern are just made for each other. 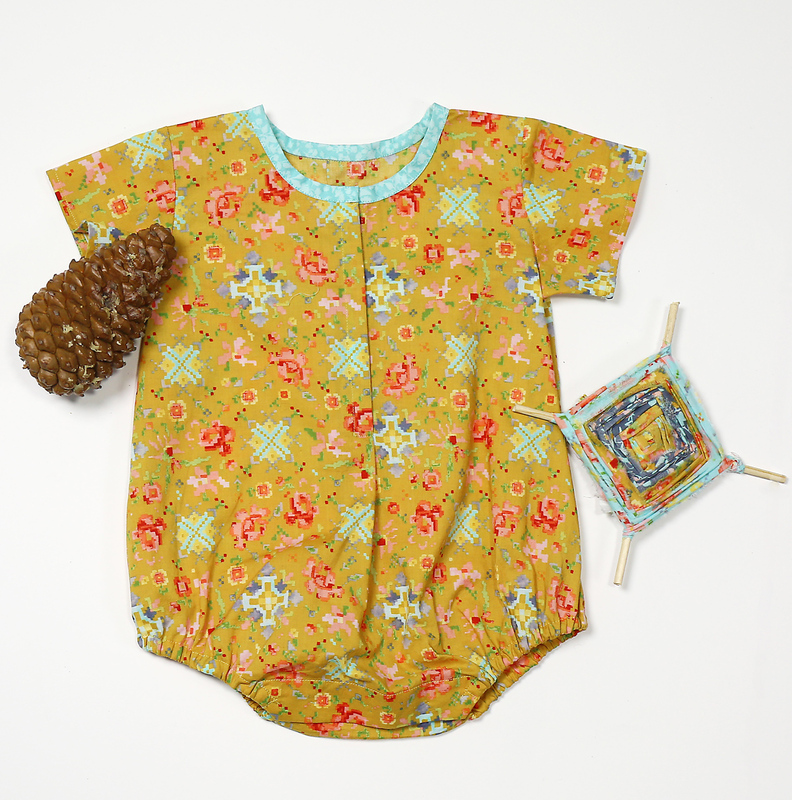 This is a set I made from Woodland Clearing for some friends who are expecting soon. 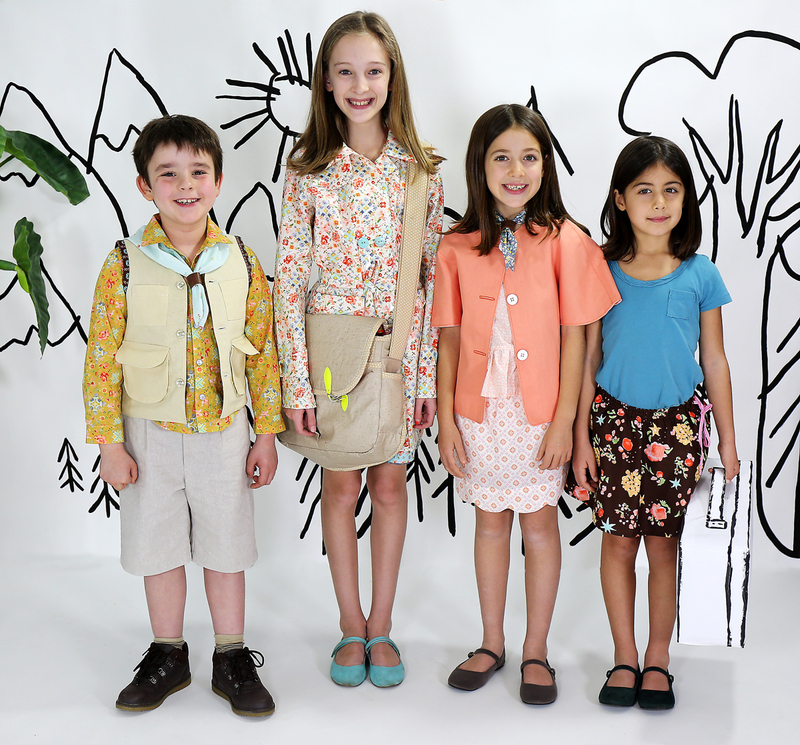 And of course lawn also makes great apparel for kids and grown-ups too. You saw a lot of the kids’ clothes in our photo adventure yesterday. Here are a few women’s items to get you inspired. 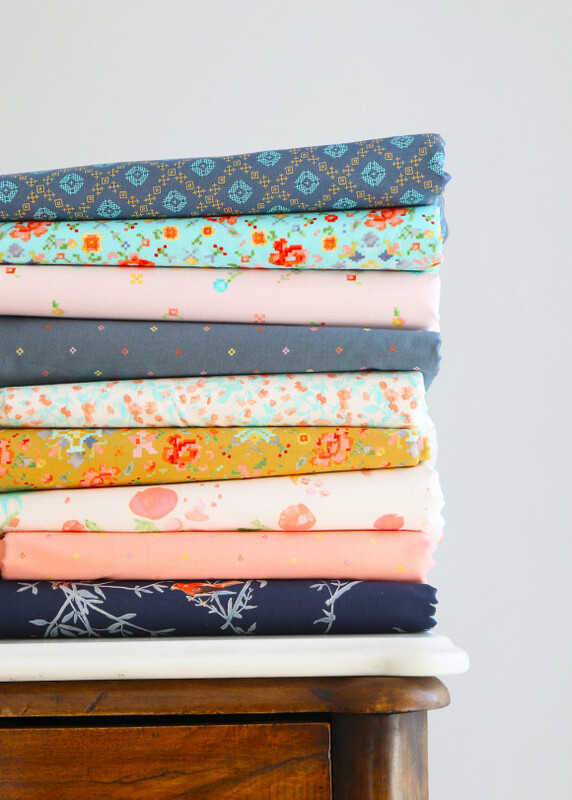 I hope you’ll enjoy sewing with these fabrics! They collection is shipping to stores right now, so of course we’d be thrilled if you would ask for it at your local independent fabric shop. It will also be available via online shops. If you’ve seen it or you know a store that carries it, please feel free to leave a comment to help people find it! Nice job on this fabric line! I can’t wait for it to start shipping to stores. And thank you thank you for choosing cotton lawn! I cannot wait to see the raincoat in more detail. My eye caught that little gem yesterday in the kids pics and I knew it was something special. Congrats again and thank you for your amazing patterns both kids and adults. You truly have an amazing talent. I’m glad you like it, Brittany! And thanks for the kind words. The fabrics are stunning! I really love the colors and I’m thrilled they are cotton lawn. Can’t wait to get some! Thanks, Lauren! I’m happy with the lawn too. Can’t wait to see what you do with it! Liesl, these prints are beautiful, and Kaufman lawn is the best! I can’t wait to hear more about that Secret Agent Trench Coat, it’s gorgeous! Thanks so much, Gail! Photos and feature on the trench coat as soon as S is feeling well and we can photograph her. I love these prints. Please, tell us when they get over here in Europe! Ok, raincoat soon, I promised. 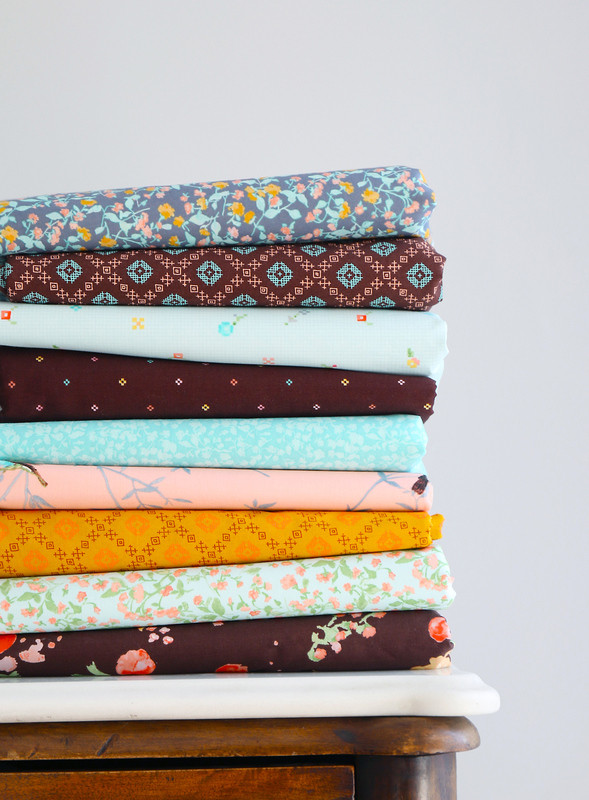 And thanks for your kind words on the fabrics! What a lovely collection! I want them all! 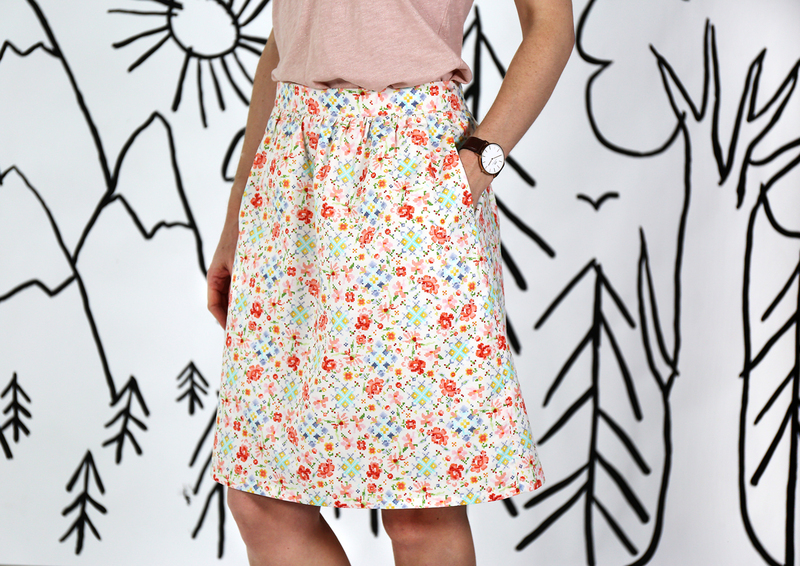 I love cotton lawn and am excited about the coated fabrics. Congratulations! p.s. We didn’t order it all….it was so tough to choose! We’ve got 11 bolts headed our way though! these are amazing!!! we just got a box of woodland clearing in and they are even more beautiful in person than i imagined. well done! Oh, I’m so glad, Emily! Thanks for saying so. Wow, these are lovely! Inhope we’ll be able to getvthem soon in Australia. Are they made in Japan? SO thankful for a new laminate that is lovely! Seems like they are rare these days and I love it for tablecloths! The prints are beautiful! I’m just wondering, do any of them need to be lined for skirts/dresses? and if so, what kind of fabric would you use for the lining? Yes, as with a lot of lawn, the lighter colors should probably be lined depending on what you’re making. I would recommend using the coordinating solid Cambridge lawns from Kaufman, which is what we used for the samples shown. It can also be used to underline the fabrics! Simply beautiful ! Please where can I get these in Australia ? Thanks! I just ordered the fat quarter bundles, so I could see/hold all the fabrics/textures. Thanks! I’d like to know a source carrying the full line – prints and solids, too.